The New York Times, BBC and others reported on the unfortunate and premature death of one of the strongest men that ever lived. 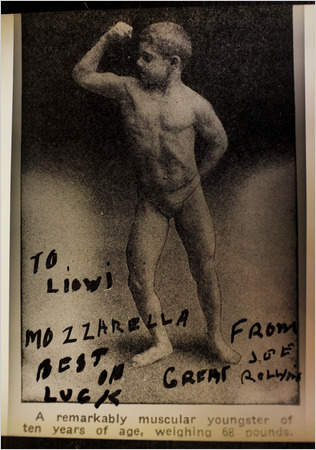 The 104-year-old Joe Rollino - one of the last links to the old strongman days of Coney Island was a lifelong vegetarian who was a performer, decorated WWII veteran, and a longshoreman. He was struck down by a van near his home in Brooklyn, and up until his death, he was a member of the Polar Bear Club and could still bend coins in his fingers and teeth. 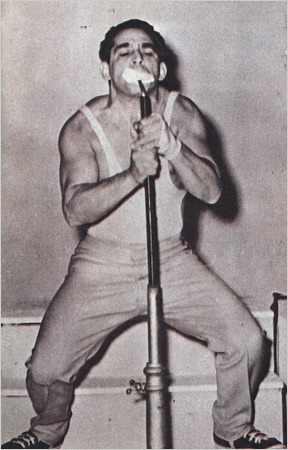 At his heaviest: 150lbs, standing at 5-foot-5, he did not ever smoke or drink, and once lifted 635lbs ... with his finger!